See-through desk pad keeps important information, such as lists, charts and schedules in view. 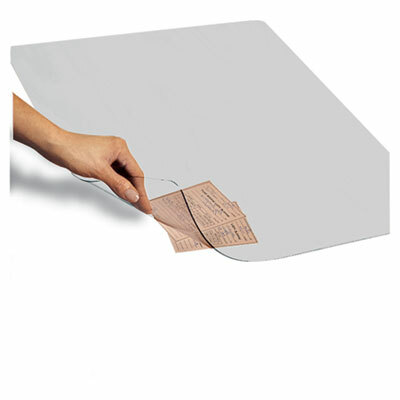 Flexible vinyl bends for insertion of materials. Cushioned surface for smooth handwriting. Nonslip grip keeps desk pad in place. Doubles as a mouse pad. Disclaimer Statement(s) Not recommend for use on lacquer, acrylic or urethane finishes.